Grown right here, in the fertile Hudson Valley of New York State. Cabernet Franc is earthy, with rich cherry and plum aromas, balanced with complex, savory flavors. Cab Franc wines are ideal when paired with food, friends and fun! 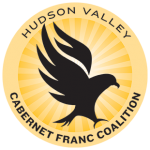 The Hudson Valley Cabernet Franc Coalition (HVCFC) is a group of Hudson Valley winery owners, grape growers, winemakers, and wine industry supporters committed to establishing a Cabernet Franc brand identity for the Hudson River Region. Look for this bottle sticker on signature wines! Wines with the Coalition’s hawk icon on the neck of the bottle are authentic Hudson Valley Cabernet Franc wines. These high-quality wines are produced by the Coalition’s Legacy Members and adhere to strict standards of production that raise the bar to define the true character of Hudson Valley Cabernet Franc. The sticker guarantees that a minimum of 85% of the grapes used in making the wine are grown in the Hudson Valley and that the wine has been aged for at least 12 months. 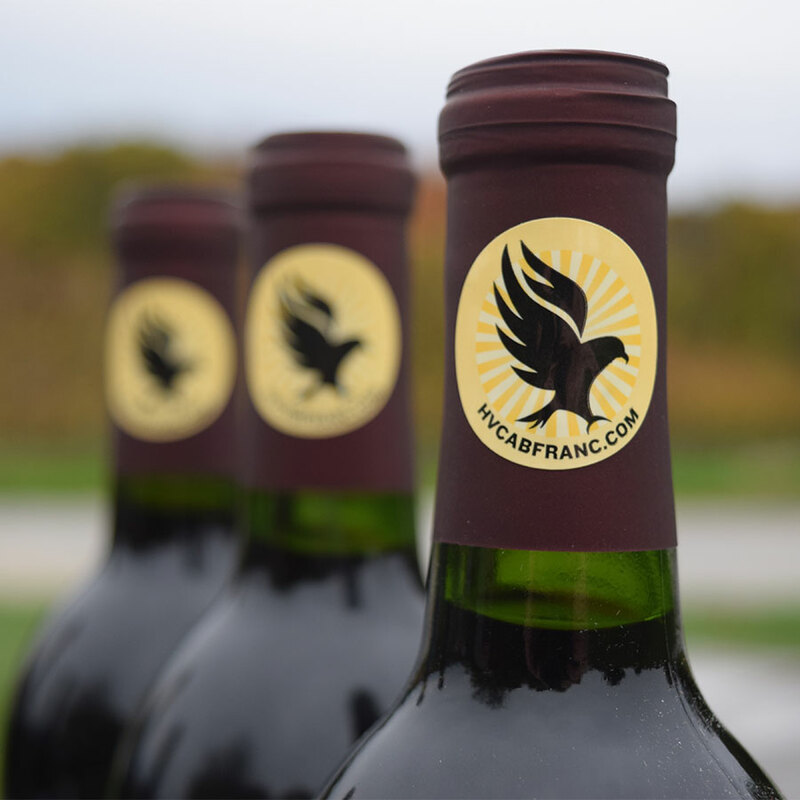 The hawk symbol represents the unified commitment of Coalition Members to grow and produce Cabernet Franc wines that capture the region’s terroir in every sip. Read more, click here. Founded in early 2016, the Coalition has been quickly gaining wide-spread support from both new and well-established producers. The Coalition’s mission is to encourage more vineyard plantings of the Cabernet Franc grape and boost recognition of the Hudson Valley’s distinctive Cabernet Franc wines. Special promotions and events will be announced to promote the region’s terroir-driven Cab Francs. Support the Coalition! Take part in these activities and support the efforts of its members to claim Cabernet Franc as the signature grape of the Hudson Valley. Hudson Valley Cab Franc Week is Coming! at Coalition Member wineries and around the region! Join the winemakers and Cab Franc lovers from around the globe on a Twitter chat starting at 8pm. Click here for upcoming Cab Franc events!